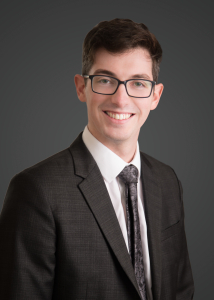 James Crussell joined Edmondson Hall as a Trainee Solicitor in September 2018. James completed his LLB with upper second class honours, before successfully completing the Legal Practice Course in June 2014, when he won the Ewart Price Prize for Commitment and Professionalism. James started his career in law in 2015 working as a paralegal in the Clinical Negligence team of an international law firm in Cambridge, where he gained experience relating to inquests, high value claims, including trials, and working on behalf of medical insurers to defend claims. In 2017 he moved to London to work within the Personal Injury and Medical Negligence team of a large international firm. Following this in 2018 he moved to the in house legal department of a Cambridge-based technology company. Here he supported the business by drafting a range of documents including Distribution Agreements, Confidentiality Agreements, and website Terms and Conditions, alongside other responsibilities. He was also heavily involved in ensuring the business was GDPR compliant prior to the implementation date. Outside of work James is involved in the theatre, as well as playing bass guitar in a band.